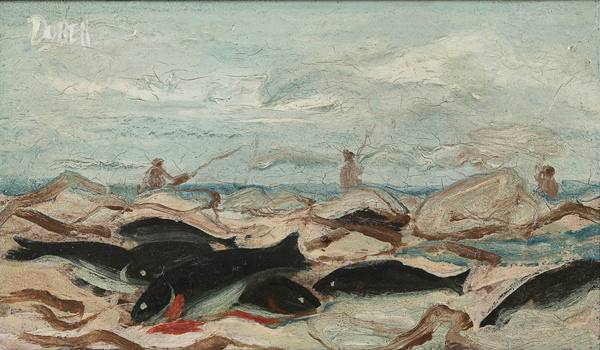 Born in Newcastle in 1899, Dobell become an apprentice draftsman, later moving to Sydney in 1924 to work in Redfern. Dobell attended The Julian Ashton Art School, later leaving for London where he studied at the Slade School. On his return to Sydney Dobell was acknowledged as on of Australia’s finest portrait artists, this was in part because of the widespread controversy surrounding the Archibald Prize of 1943 which was won by Dobell for a portrait of Joshua Smith and controversal court case that followed. Dobell is represented in all major Australia galleries and many private and corporate collections worldwide.